Thursday 27 September - 10.30 a.m.
Born in Lima, Peru, 1967. Formed as an architect in Lima and Paris. Master degree in Landscape and Territory at the UDP, Chile. She currently teaches at the Pontificia Universidad Católica del Perú and has previously taught at the Paris-La Villette School of Architecture (2006). Received the 2018 Woman in Architecture Award from the Architectural Review, London. Recipient of the Fulbright Foundation and the French Académie d’Architecture Fellowship in 2000. 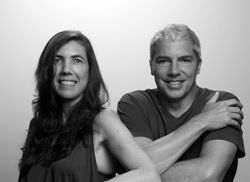 Sandra was curator, along with J.P. Crousse, of the Peruvian Pavilion at the 15th Venice Biennale, 2016, which obtained the Special Mention of the Jury. Barclay & Crousse Architecture was founded in Paris, France, in 1994. Established in Lima since 2006. Their work has received the Oscar Niemeyer Prize 2016, the Peruvian National Prize of Architecture in 2014 and the Latin America Prize 2013, given by the International Committee of Architectural Critics (CICA), among other international prizes at the 20th Pan-American Biennale of Quito (2016), the 4th Ibero-american Biennale (2004) and the 14th Buenos Aires Biennale (2013). Barclay & Crousse participated in the central exhibition at the 16th International Architecture Exhibition at the Venice Biennale, 2018. Born in Lima, Peru, 1963. Formed as an architect in Lima and in Milan. Director of the Master Program in Architecture at the Pontificia Universidad Católica del Perú. Design Critic at Harvard GSD (2015), and teacher at the Paris-Belleville School of Architecture, from 1999 to 2006. Advisor for Peru at the MoMA exhibition “Latin America in Construction: Architecture 1955-1980”, New York, 2015. Member of the jury for the Mies Crown Hall Architecture Prize, Chicago, 2016. Jean Pierre was curator, along with Sandra, of the Peruvian Pavilion at the 15th Venice Biennale, 2016, which obtained the Special Mention of the Jury. I'm a professor in the Urban and Architectural Design at the University of Catania, based in Syracuse. I’ve teached at the Architectural Mendrisio Accademy. I've exhibited my works in more editions of the International Architecture Exhibition at Biennal in Venice . in 2012 I won the Gold Medal for Italian Architecture 2012, which is awarded from La Triennale di Milano. Fulvio Irace is a full professor of “History of Architecture” at Milan Polytechnic, where he holds the History of Contemporary Architecture chair at the Faculty of Civil Architecture and the Faculty of Design; he is also a visiting professor at the Academy of Architecture in Mendrisio, and a member of the board of teachers for the PhD course in “History of Architecture and Town Planning” at Turin Polytechnic. He is a member of the scientific committee of the Vico Magistretti Foundation and is on the board of trustees of the Piano Foundation. In 2008-2009 he was a member of the jury for the Mies van der Rohe European Prize. From 2005 to 2009 he was a member of the Scientific Committee of the Milan Triennial and curator of the Architecture and Territory sector. One of the founders of the national association AAI (Archivi di Architettura Italia – Italian Architectural Archives), he is one of the promoters of the “Architecture and Design” section of CASVA (Centro alti studi e valorizzazione delle arti – the Centre for Higher Studies and Valorisation of the Arts) of the Municipality of Milan. 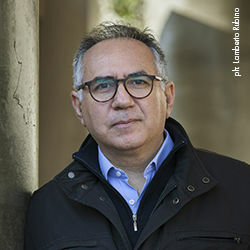 Architectural editor for the publications “Domus” and “Abitare”, he has worked with the most important national and international magazines in the sector, and in 2005 was awarded the Inarch Bruno Zevi Prize for architectural criticism. Since 1986 he has been an opinionist in the field of architecture for the Sunday Supplement of “Il Sole 24 Ore”. Attentive to the historiographies of Italian architecture between the two World Wars, to which he has dedicated much work through various exhibitions and publications, more recently his studies have concentrated on contemporary Italian architecture, and the figure of Renzo Piano, the subject of various monographs and an important exhibition at the Milan Triennial. In the field of criticism and historical methodology he is the author of the following works: Dimenticare Vitruvio, 2001 and 2008; Le città visibili: Renzo Piano 2006; Divina Proporzione, 2007; Gio Ponti, 2009. He has curated a number of architectural exhibitions.